Anyone who has struggled to find a parking space in College Hill will be interested, perhaps even gratified, to see the car pictured above on Carr Street this morning. The yellow note stuck on the driver’s side window indicates the car has been booted because of an excessive number of parking tickets, the latest of which is under a windshield wiper. 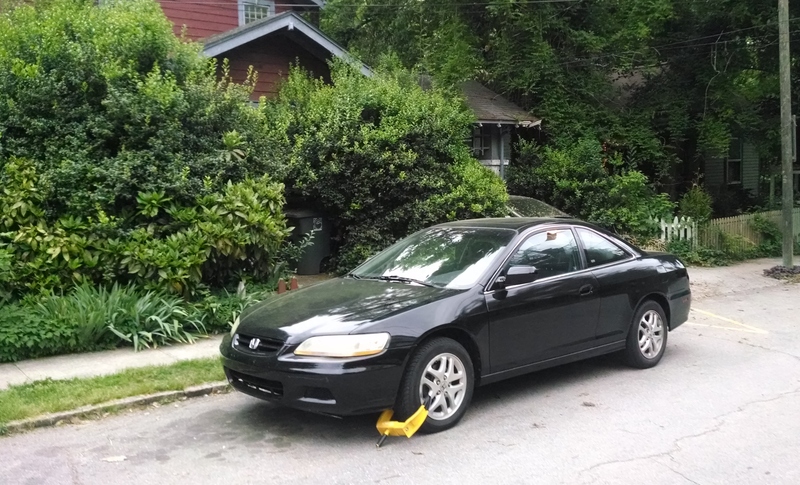 Booted cars are a fairly rare sight in College Hill, even though parking tickets are very common. But be advised: Rack up too many tickets — and who knows how many are too many? — and you could be booted until you pay up. This entry was posted in Carr Street, Parking. Bookmark the permalink.